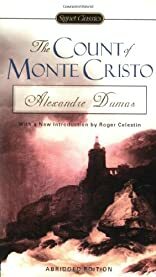 Wrongfully imprisoned for fourteen years, Edmond Dantes escapes to the island of Monte Cristo. What awaits him there is a fortune in gold-and a new identity with which to persue his revenge and redemption. About Roger Celestin (Introduction) : Roger Celestin is credited in . A published credit of Roger Celestin is The Count of Monte Cristo (Signet Classics). "The Count Of Monte Cristo," by Alexander Dumas, reviewed. 10/7/2007 Jessica Schaub said: This is the book that did it for me. Once I entered these pages, I never left. I studied literature in college, taught literature to junior high students and surround myself with books...all because of Dumas and his craft with words.